I bred Shakira myself from our two Golden Retrievers, Loftus and Elsa. As Shakira developed a very itchy, sensitive skin at a very young age, that I found impossible to control by diet only. My husband and I belong to the voluntary therapy dogs organisation, Paws for People. As soon as Shakira was old enough s received the relevant obedience and therapy training. Shakira started her therapy work at the age of approximately eighteen months. However, Paws have strict health requirements for all the dogs, so an itchy, scaly skin is not acceptable. 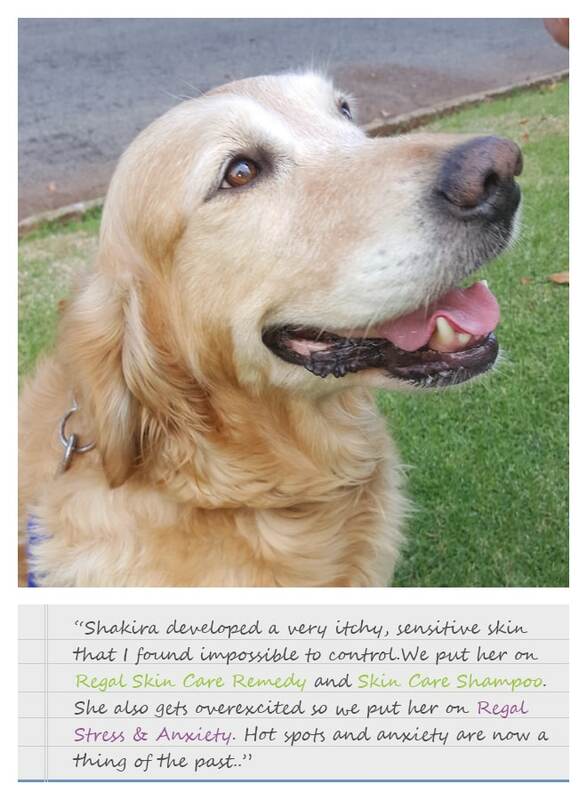 Like we did for her father, we put her on Regal for Sensitive Skin Care Remedy and the same in shampoo. Golden Retrievers are very prone to hot spots in the summer months, and Shakira in particular. 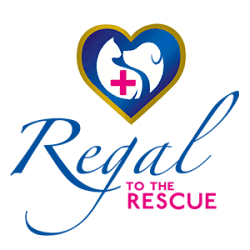 We found that when our dogs were on Regal these hot spots were a thing of the past. Shakira can get very excited when going out on a therapy visit, so we have started using the Stress and Anxiety Remedy as well when necessary. This has helped a great deal.